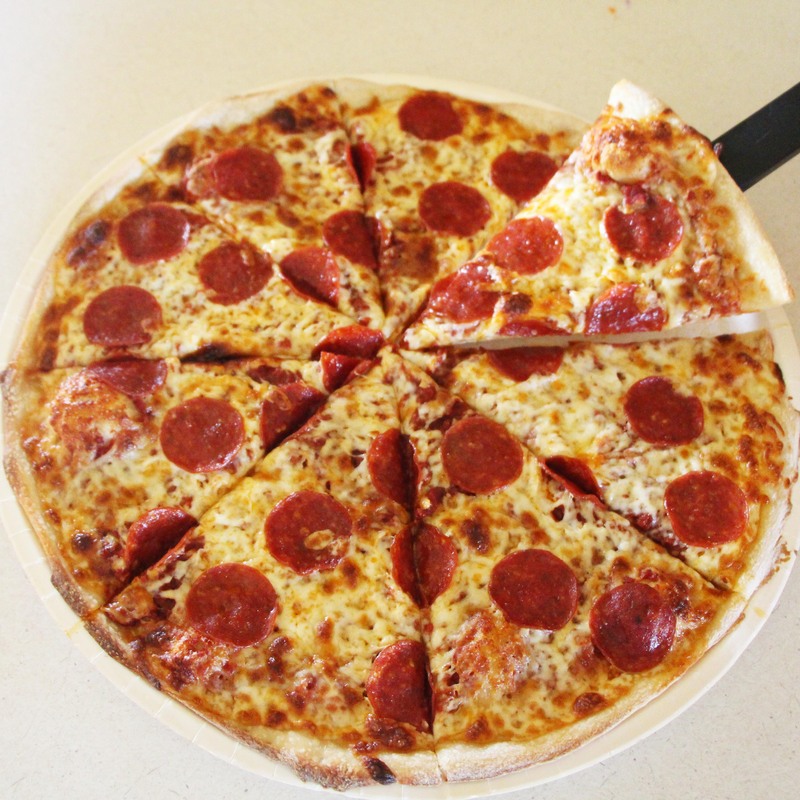 A 12 Inch Topped with melted butter, mozzarella, provolone and parmesan cheeses and our own special seasoning. Dip it in our delicious red sauce. A 12 inch dessert crust with a streusel topping and topped with white icing! Traditional Red Sauce, Pepperoni, Sausage, Mushrooms and Black Olives on our homemade crust. Special Refried Bean and Salsa Sauce, Cheddar Cheese, Beef, Lettuce, Tomatoes, Red Onions, Crushed Nacho Chips. Traditional Red Sauce, Canadian Bacon, Pineapple, & Mozzarella and Provolone Cheese Blend. Peanut Butter and Jelly wrapped and warmed to perfection!